The CBCT for ENT available at Cavendish Imaging are in the high-end category of scanners. This enables us to produce an exceptional insight into the extra fine structures of the ear complex and remain unrivalled for temporal bone exploration. An ENT CBCT scan on the JMorita Accuitomo F170 and the NewTom 5G will provide magnificent resolution while only using 20-40% of the radiation dose of conventional CT scanners, hence proving the CBCT image quality and its appropriateness over CT. The lower radiation dose in conjunction with the high diagnostic quality images provided by our equipment, is key to best clinical practice. In addition, CBCT’s low sensitivity to metallic artefacts makes it the technique of choice in the follow up of cochlear implants and ossicular prostheses post tympanoplasty surgery. For paranasal studies, referring criteria include the search for anatomical variants prior to FESS, post FESS anatomy, mucosal inflammation, polyp grading, reactive bony sclerosis and drainage pathways. For temporal bone studies, referring criteria include the search for anatomical variants, dysplasia, chronic otitis, deformity, trauma, pre- and post-cochlear implantation. 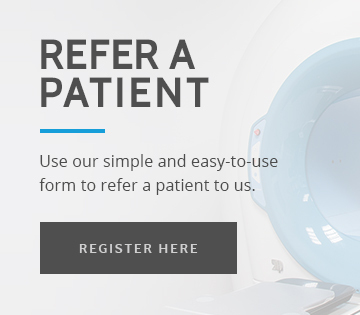 We have developed our ENT imaging protocols with leading radiologists as well as using our internal expertise. Our ENT images have been presented to numerous international clinical congresses as state-of-the-art imaging. Cavendish Imaging also focuses on CBCT education in the ENT field, in particular through the UK Radiological Congress and specific educational actions.